Yesterday I spent a few hours walking around the Junk Bonanza a twice-yearly gathering of antique dealers, vintage vendors, knicknack merchants, and junk hounds. The location couldn’t have been more poetically appropriate—the grandstands of Canterbury Park Horse Track—a space for gambling at the distant suburban edge of the city. Rural residents, suburban shoppers and svelt young urban hipsters were all penned in together by signs for poker playing, pizza and pasta bars, booze bars and other cliché casino accouterments. The joy of the hunt. The luck of the find. Just an occasional tinge of anxiety and desperation. 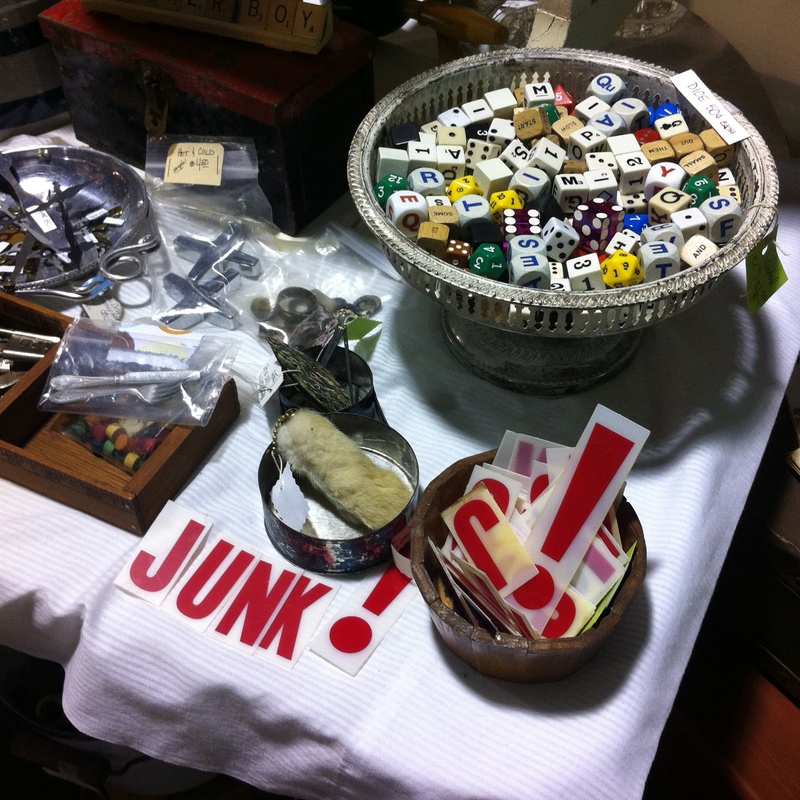 The Junk Bonanza—packed to overflowing with objects, lacking organization and crowded with people—presented a practiced critique of the clean, ordered, well-lit and policed spaces of corporate retail. It was an anti-Walmart, an uncanny Target. Yet, at the same time, like the yard sale, the garage sale or the “free” giveaway pile on the boulevard, the scent of “the deal” hung in the air. An abstract concept like “market value” becomes a slippery one when dealing with objects that are rare, often one-of-a-kind and at the same time old useless and perhaps even rescued from the trash. Vale at The Bonanza are not set by squeezing a global commodity chain for the lowest possible price. Rather, it is often in the eye of the customer—where “a deal” is found when the shopper sees something worth much more than the seller anticipated. Walking among the objects, one cannot help but compare the asking price of a remembered object to its displayed value. “Oh, I had one of those when I was a kid! I can’t believe that it is worth that much,” is a statement that cuts both ways. One reading is a personal lament for a missed investment, a past misrecognition of future value—a thing one used to have that is now worth so much more. “If only I still had that! I would be rich!” A second reading is the discovery of contemporary mis-valuation—the discovery that something of great value from the past—a meaningful toy, article of clothing or other object that one no longer possesses—is available for a very low price. Unable to read the memories individuals and assess the value an object might have, the antique dealer makes a mistake, which becomes the hunter’s bargain. Shopping in retail stores is all about commerce—seeking the Best Buy. Business is business and the objects are mass-produced, lined up, ordered and configured for maximum frictionless sale. The spaces are cold and sterile. One shops mass retail to fill the tank, achieve the goal, acquire the items one needs and go home. The old explanation as to why there are no clocks in shopping malls is true. The space of retail is designed to entrap and squeeze extra sales from shoppers. At the checkout counter of a mass-market retailer one is commonly asked, “Did you find everything you were looking for?” The ritual language of the corporate script indicates the purpose of the space and the terms of the exchange—we offer what you want. If it isn’t here, we will get it for you. Satisfaction of customer desire is at the core. Get what you want and get out, if you can find the way. Don’t loiter or hang out unless you intend to buy. For the most part the emotional reaction to this experience is immediately evident on the listless, numb faces of shoppers. Unhappy, lost and milling about looking for the tube of toothpaste that they need so they can leave. There are few smiles in the aisles. The Junk Bonanza is Walmart’s Bizarro twin. Everything is the opposite. In fact, its tongue-in-cheek claim to being junk suggests the valueless, forgotten and unsatisfactory. Don’t go with the intention to find, because you have no idea what is there or where it is. “If you go home unsatisfied, what did you expect? It is, after all, all junk.” An antique dealer who concludes a sale with, “Did you find everything you were looking for?” would need his or her head checked. There is a sense of the carnivalesque, of the rules of corporate commerce inverted. Yesterday, having nearly walked the whole extent of The Bonanza I was exhausted, but would have been happy if there were more. 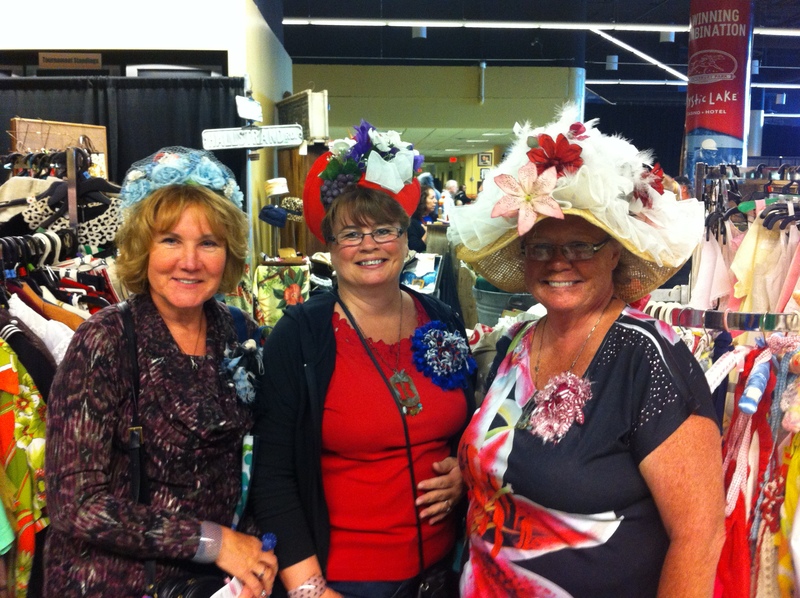 At that moment I saw three middle-aged women in outlandish hats, wearing colorful flowery things. Clearly they were dressed for the occasion—enthusiastically celebrating their participation as they picked through racks of vintage clothing. One actually had fake plastic grapes on her hat! I commented on their hats and one exclaimed that there were two others around somewhere. Had the five of them sauntered into a Target store looking like that, I can’t but help thinking they would get a once-over by asset protection workers. 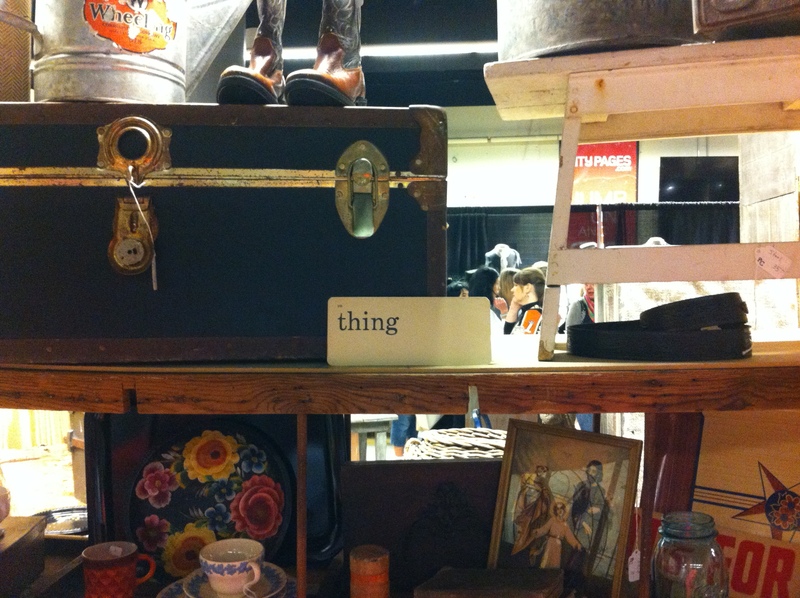 Picking among the antiques offers and aesthetic and emotional experience very much the opposite of shopping. It is an anxious and engaging activity. There is pointing, smiling at the recognition of a forgotten object. “Oh, look at that!” A melancholic remembrance of a childhood toy, the object that a deceased parent had “just like this one.” One thinks of the past, meditates willingly or not on the transitory nature of consumption. 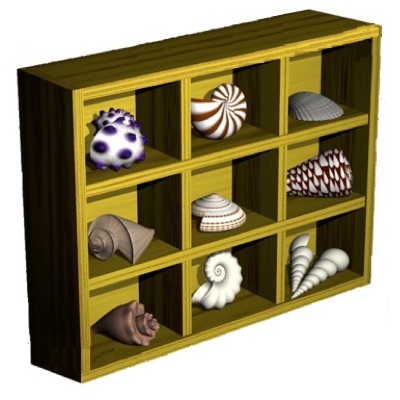 They are not simply object, but things with which one might think. Less like shopping and more like hunting and gathering or gleaning—there is the feeling of seeking morsels that are fit for consumption, leftovers, or some tasty bits still left on the vine. One constantly scans the scene while at the same time focus darts from object to object. The eye searches the unknown, evaluates and moves on. On one level, there is the excitement of the hunt for unknown prey in an exotic and unfamiliar land. There is, however, also the visual pleasure of the victorian museum—piles of rare, one-of-a-kinds collected together from across space and time—packed together in such a way that the eye enjoys looking at the assembled exotica. One can spend hours just looking at the objects without ever buying anything at all—one of the reasons, no doubt, that there was a $9.00 entrance fee. Imagine if the Mall of America charged an entrance fee just to window shop? Just walking among the warm objects’ glow is pleasurable—the pleasure of the discerning flâneur. 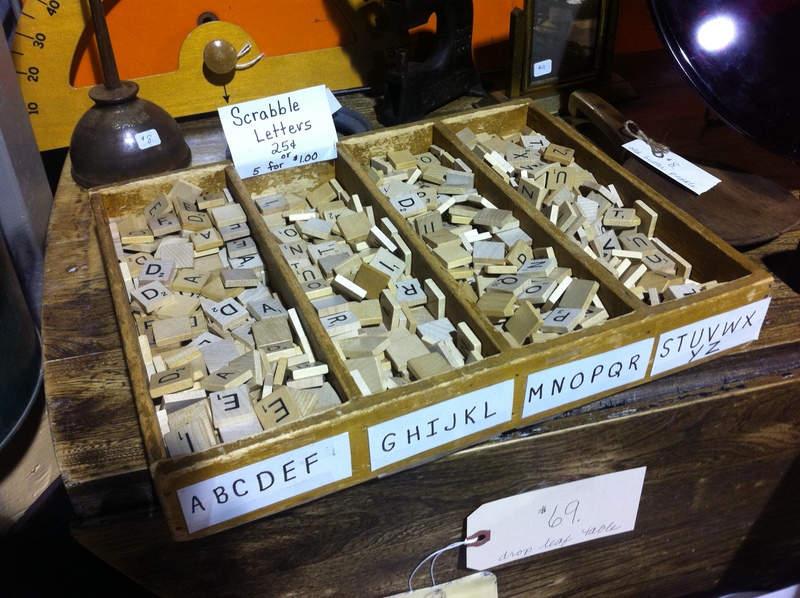 Piles of played Scrabble pieces, tattered old flash cards, and worn board game dice nostalgically evoke the past hands that played with them, the family games and the childhood memories. Fragmented, used, and no longer useful they are piled up and stacked like uranium—radiating a valuable old glow with an unknown half-life. Junk, trash, refuse and yet not quite—they await reuse, and repurposing. A subset of dealers at the Junk Bonanza do just this, excelling at giving a second-life to the worn old “junk”—crafters who capitalizing on the objects’ residual warmth by incorporating them into “new” creations. Lamps made of old gas station lights complete with mid-20th century faux-vintage bulbs, books cut in the shape of letters, mosaic signs cobbled together from board game pieces and small toys, jack-o-lanterns cut from gasoline cans from the golden age of the automobile, repurposers creatively leverage the warm objects’ surplus glow to create new objects which become valuable because of their metonymic reference to past uses. One of my favorites were rewired vintage lamps with shades made of a mosaic of photographic slides stitched together with small rings made by Light Reading Lamps and Shades. The shades were made by the saleswoman’s daughter from discarded slides. She demonstrated how the light cast from the bulb through the lampshade actually projected the slides onto walls and nearby surfaces. The faces, objects, events and moments of the past were made visible again—the slides casting a warm Kodachrome glow. For a premium the woman told me that her daughter would happily make a custom lampshade from a customer’s own slides. The nostalgia of antique sales has always contained an implicit critique of global production—especially among rural and working class collectors. In stark contrast to cold global production chains that intentionally scrub objects of the meanings of their production—keeping, for example, Chinese workers hidden from the eyes of the American consumers that buy the products they make—antiques evoke memories of local, regional and national manufacturing of the recent generational past. The locations of production printed on the objects are recognizable local places, not the far-flung sites of the global factory. 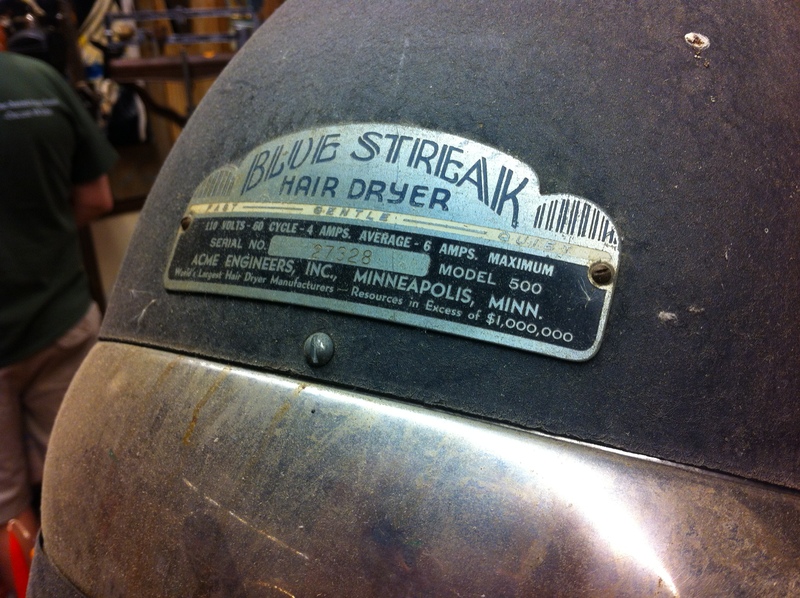 Walking among antiques one cannot help but read the names of sites of production proudly emblazoned on the front of objects, not hidden in small print on their undersides. They don’t say “Made in the USA” as often as they assume domestic production, claiming instead local sites: “Pittsbugh, Penn.” “Cleveland, Ohio.” “Minneapolis, Minn.” They announce their homes as the homes of the consumers. 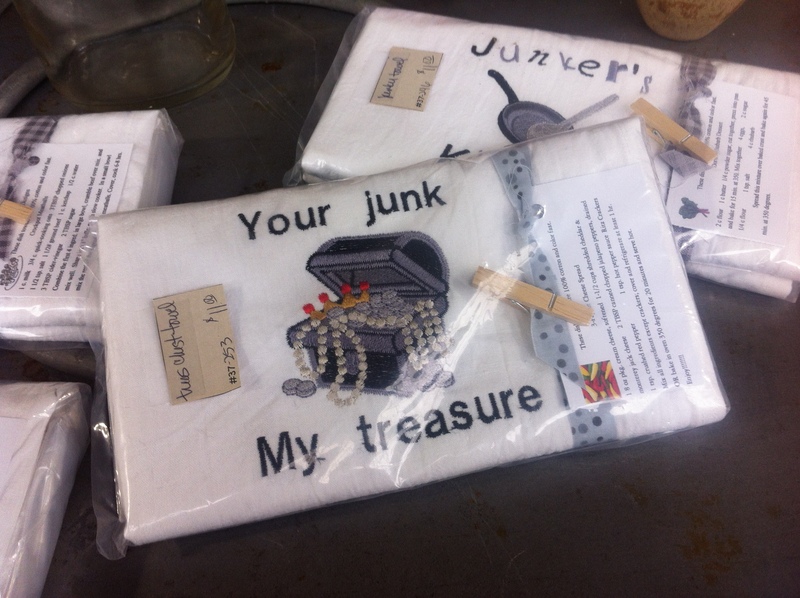 The trade in junk is a trade in the longing for local community meanings. Repurposed objects, cobbled together playing with the patina of objects Made in America, is in a sense a practice of reasserting local production—the production of the “maker culture.” The repurposed objects were often made by the very people selling the objects at the Junk Bonanza or their close relatives or friends. These are just some initial thoughts about warm objects. Recently I have been following my interest in global production to think about what I am thinking of as “a poetics of the global factory.” More than just the issue of production and consumption, the afterlife of “warm objects” is socioculturally determined and the practices of their valuation/revaluation as antiques, vintage goods, remainders, and “old things” say something about contemporary relations of production, ideas of community, and formulations of the global/local.